You can add a user as an admin to an account in Settings. When you assign a user as an admin in the root account, that user has all privileges in any sub-account. You might consider assigning users as admins only in the sub-account for which they are responsible. 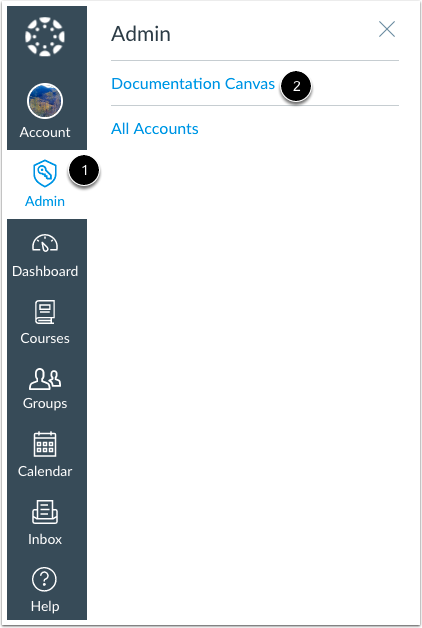 Once you add a user, if they already have a profile in Canvas, they will receive an email notifying them that they are now an admin for the account. If an added user does not already have a profile, they will receive an email with a link to create a profile and access the account. To add a user as an admin, you must assign the user to an account role. Before adding a user, ensure that you have created the necessary account-level role. Your administrative user list includes the Conditional Release API, Outcomes Service, and Quizzes.Next Service, which are currently included in all accounts for MasteryPaths, Outcomes, and Quizzes.Next. The API users will be removed from the list in a future release. In the Add More drop-down menu , set the admin role type. 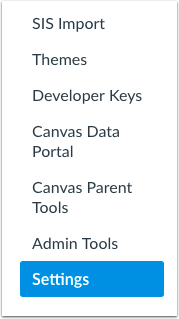 The default admin role in Canvas is Account Admin which has access to all account-level permissions. You can also create admin roles for your institution and manage their permissions. In the text box , type the email address of the user. Click the Continue... button . Previous Topic:How do I create a sub-account? Next Topic:How do I manage themes for an account? Table of Contents > Accounts and Sub Accounts > How do I add an admin to an account? Re: How do I change a profile from teacher to admin? Re: How to create admin account ?